Take a look at my banner ad above this. What does it say? It says Miss Selfridge is finally coming to the Philippines in 5 days!!!! Yay! I’m extremely happy that this famous British high-street brand will now be available here. It’s one of my ultimate favorite stores abroad. I swear I go gaga every time I enter Miss Selfridge!! If you don’t know how awesome of a brand Miss Selfridge is, let me show you through my 5 Days of Miss Selfridge outfit posts. 1 outfit down, 4 more to go! See you at the opening! I hope you’re as excited as I am. In the meantime, please keep voting for me under the Stylisimo category of Globe Tattoo Awards. It would really mean a lot to me! :) Anyone with a Facebook or Twitter or Google+ account can vote once EVERY HOUR here. And if you want to go the extra mile of tweeting about it, please include #tattCamille so that I may qualify for the Trending Personality Award too! Just a small bonus teehee. Thank you soooooooooooo much! Is this dress still available in Greenbelt 5? I liked this dress!!! Saan pwede mag-avail? May mkikita pa ba ako ng ganto? Oh.. Should go to Miss Selfridge ASAP! hehe.. Thanks a lot! To a party :) I don’t have those Guccis :( Hmmm my local style icons? I haven’t really though about it but I do admire how Apples Aberin, Amina Aranaz, Pam Quinones and Ruby Tangan dress up. I remember there used to be a Miss Selfridge store located at the Padre Faura Wing of Robinson’s Place Ermita during the early 2000s. Can somebody confirm it? These shoes are the most painful shoes I have, hands down!!! I love your dress!!! I wanted to order it on the Internet, but I couldn’t find it on Miss Selfridge website. Where did you get it? Elegant! :-) where will the Miss Selfridge be? Check out mine if you have time. whether my comment have something wrong?? Beautiful Dress! The Accessories really make the dress! All that texture, that color in the clutch, the earrings, the belt, the cuff=all so edgy and exquisite! I can’t stop voting, Miss Camille, so addictive! haha I get worried minsan because there’s this 1 girl na super dami na ng votes nya :( pero kaya natin to! I’ll be voting again after sending this comment :D Goodluck and I love your dress btw. you are soooo pretty! !you look like a modern goddess! is this in Manila? They are painful! Haha! :) Thanks Trisha! Din kung susugorin kita sa shop mo.hahaha btw, stay pretty and humble. Ikaw lang ang kakilala ko na nagrereply sa mga comments. Unlike sa iba gyan! Hindi pa nga nakakaabot ng top3 eh may attitude problem na! Hahaha sana pupunta ka ulit dito sa davao. tc! You are hong kong designer?? Totally voting for you, Camille!!! All out support!!! Good luck!!! Oh really? I used to do it all the time. Thanks Iola! very pretty dress !!!!! i like this brand too !!!!! Just heard your name in a blog site and got curious whose “Camile Co” then I saw your Blogs and Fashion designs as well as those Model like poses for your clothing brand, Your like the ultimate Fashionista! your a Designer, Owner of Coexist, Model… Wow! a Combo rolled into one big package. I’m Now your Biggest Fan. Keep on blogging and keep on modeling. Oh yay! Miss Selfridge! You will DEFINITELY love Miss Selfridge. I live in the UK and Miss Selfridge is one of my favourite stores. Every time I go shopping, I can’t stop myself from “just taking a peek” and walking out with a big bag full of goodies and a big smile on my face! I know how you feel! Miss Selfridge really is soooooo nice! Haha thanks Katherine! :) Miss Selfridge really is one of the best! Thanks Dheya! Yes it is! These shoes are always so painful! The dress is gorgeous and i love the shoes!!! 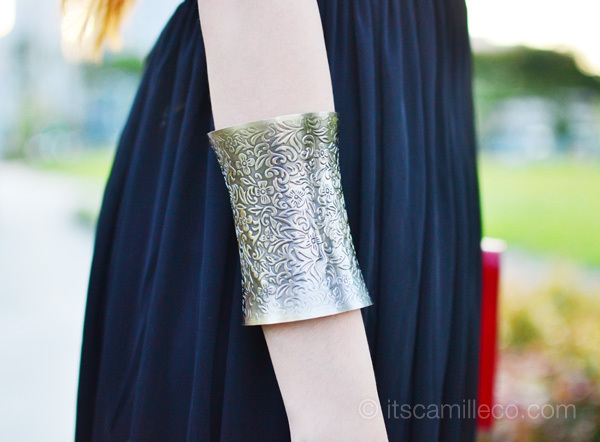 You look LOVELY Camille! 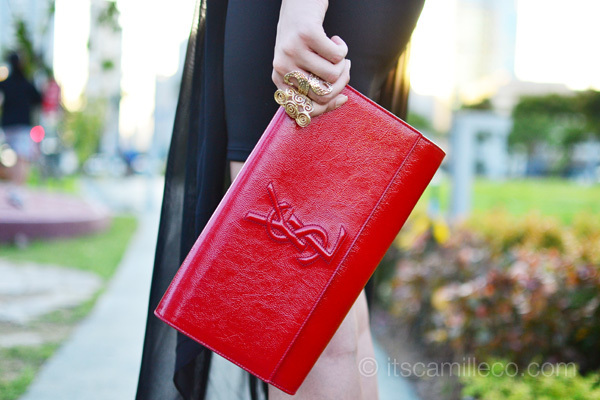 Love your bloody red clutch! :D What are your essentials when you carry small bags? Thanks Sam! :) My phone, spin pins, oil film and wallet. Thanks Pobie! :) You’re right! But they’re slowly arriving one by one :) I wish Blanco and River Island are next! Oh you’re wearing again your killer Givenchy heels! Did your feet get used to it na or they still hurt? I wonder if you feel any regret when you buy luxury items that turn out to be uncomfortable to wear in the long run. YES THEY’RE STILL SO PAINFUL! I don’t regret it though. They’re really one of a kind. Maybe one day, they’ll loosen up and not hurt as much haha! Voted for you. And you are leading. I bet you are going to win!!!! :O those Givenchy heels! Do you actually own them? They’re amazing! Yes :) They’re painful though! My gaaaaaaaaaddddd Camille! You’re a Goddess!!!! hi Ms. Camille, just want to ask.. how can i vote for you… hihihihi… tnx! Just go to http://tattawards.com/vote#stylisimo and click login at upper right side of the box. You’ll see Facebook and TWitter icons there. :) Just follow the instructions and then you can vote! I can see why you love that brand so much. It’s very flattering on you! And that sheer half skirt!!! Hi Yanney! They weren’t :) I just didn’t have time to go through them at once. :) They’re okay now! You somehow look younger here.. but still so beautiful! :) keep it coming. the heels is killing, so pretty !! !